Take advantage of this FREE SHIPPING* offer NOW! HURRY - Offer Expires 7/23/2014 11:59pm PST. 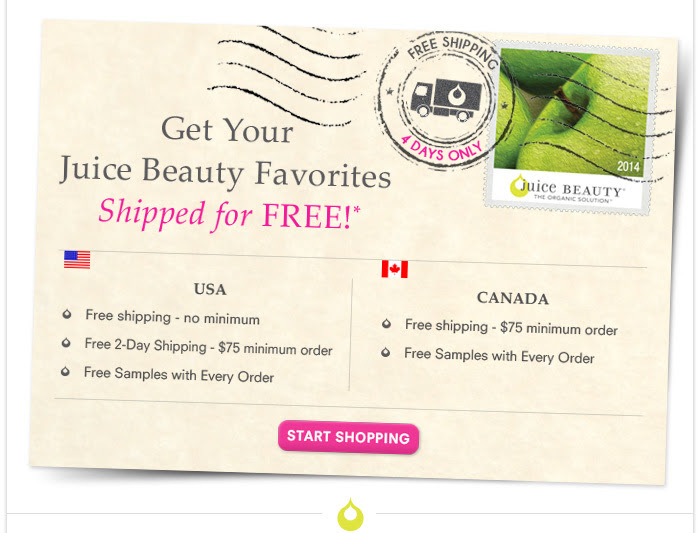 Get Your Juice Beauty Favorites Shipped for FREE! *Offer ends 7/23/14, 11:59pm PST.